This blog post highlights historic elections and trailblazing African Americans elected to key positions in government. They include the first blacks elected to congress, the first black elected to a governorship and of course the first black president. 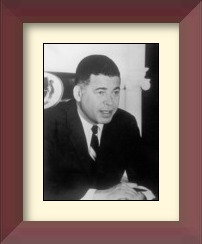 Edward W Brooke (1919-2015) of Massachusetts became the first African American elected to the United States Senate by popular vote. He served from 1967-1979. Brooke, a moderate republican led efforts to attach an anti-discrimination amendment to the Civil Rights Act of 1968. He also defended the need to extend the 1965 Voting Rights Act, and pushed his colleagues to make Dr. King’s birthday a national holiday. Shirley Chisholm (1924-2005) of Brooklyn, New York became the first African American woman elected to the United States House of Representatives. Chisholm was an activist in her community and carried that spirit with her to the House of Representatives where she fought to increase federal funding to extend hours of daycare facilities. She was also the primary backer of the national school lunch bill and led efforts to override President’s Gerald Ford’s veto of the bill. 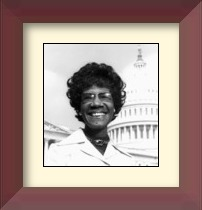 Chisholm served in the House of Representatives from 1969 to 1983. 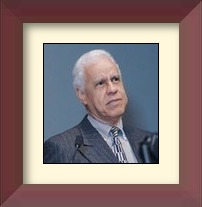 Lawrence Douglas Wilder (born 1931) became the first African American elected Governor in the United States. He served four years, from 1990-1994. During his governorship he balanced the state budget and sponsored new construction projects at several Virginia colleges and universities, mental health facilities, and state parks. 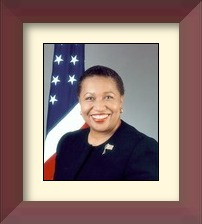 Carol Moseley-Braun (born 1947) of Illinois became the first African American woman elected to the United States Senate. During her term in Congress she fought for social legislation including federal funding for the Martin Luther King, Jr. Holiday Commission. She sponsored a National Park Service Initiative to fund historic preservation of the Underground Railroad. She also convinced the Judiciary Committee not to renew a design patent for the United Daughters of the Confederacy because it contained the Confederate Flag. Moseley-Braun’s time in the senate was marred by controversy. She was accused of campaign finance violations and was criticized by the Congressional Black Caucus for taking a private trip to Nigeria to attend the funeral of a dictator’s son. Barack Obama (born 1961) was elected 44th President of the United States. During his presidency he addressed the financial crisis and put the United States on the path to financial recovery. He was reelected for a second term in 2012. 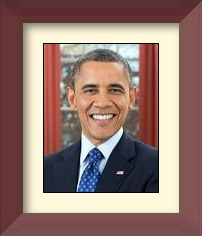 During his second term he implemented the Affordable Care Act (Obamacare). African Americans in World War I…who were they? If you’re teaching World War I, African American soldiers that made up the 369th Infantry Regiment should be included. During World War I several all-black units served and fought in Europe. The most famous of those units was the 369th, nicknamed the Harlem Hellfighters by the Germans. Members of the the 369th fought alongside the French and on the front lines for several months. More than 170 members of the unit received medals and citations from the French government, including the the Croix de Guerre, the French medal that is awarded to soldiers for bravery in combat.